I spent the weekend cooking up a storm and the last day and a half organizing all my recipes. That and playing catch up cleaning dishes… This no-dishwaser thing is getting old pretty quickly. Anyways, Chris and I have made a commitment to not eat out for the month of March in an attempt to kick start saving money for our summer vacation. Hopefully this will translate not only into some extra spending cash, but also new culinary creations, creative uses for leftovers, and great entertaining inspirations (just because we aren’t going out doesn’t mean we can’t bring the party to us)! 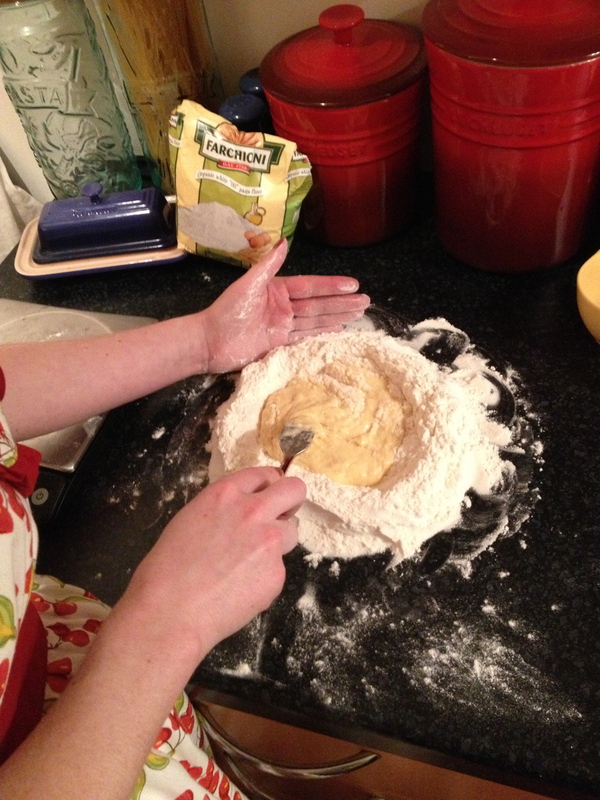 On Sunday, I decided to tackle an item on my “cook this soon” list: homemade pasta. This has been waiting to be checked off the list since last November when I attended a “Taste of Italy” cooking course at Food at 52 Cookery School. Making homemade pasta would be easier with a pasta maker. 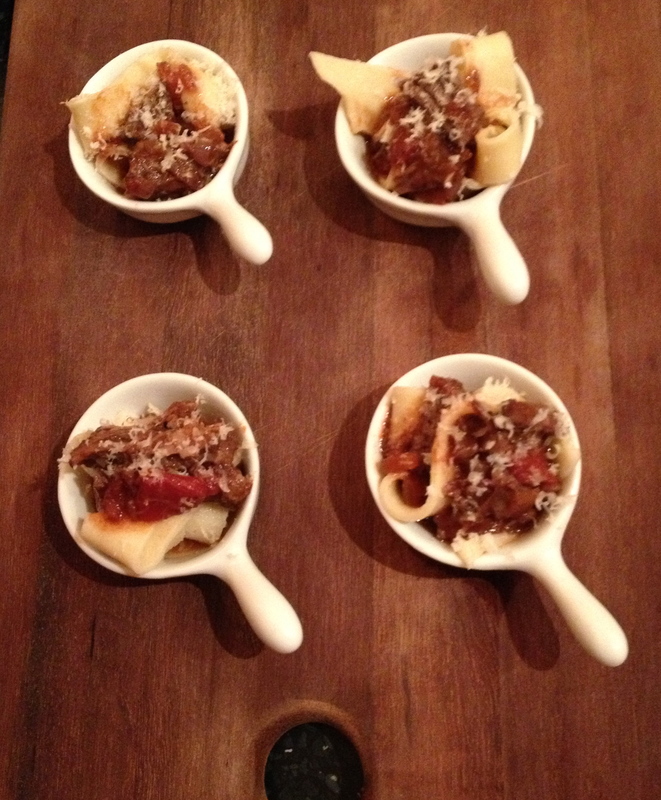 But, alas, all I have here in London is my trusty rolling pin, so I thought a pappardelle might be the safest bet. If you’re going to do it this way, just be sure to roll the dough out and slice it into ribbons. Definitely also use a well floured surface or you’ll run into some trouble, as I did in a few spots… iI doesn’t look like I’ll be calling myself a pasta-maker extraordinaire anytime soon, but this was actually an enjoyable process and one I would like to get better at. If I’m going to make fresh pasta, it deserves a really good sauce. So what better way to tie it into my “The Taste” Tuesday challenge, then to take on some wacky meats for a slow braised ragu. I figured I would embrace the nose to tail challenge by literally cooking up some tail and some part of the head. Since I couldn’t get my hands on any snouts this weekend, I went a few inches to the side and grabbed some cheeks. Okay, I obviously went to my butcher’s counter. But you catch my drift. I have enjoyed oxtail recently, including over lentils at Tom’s Kitchen, and even had a classic British pie with ox cheek a few weeks back. They seem to have an intensified beefyness. So I figured why not give it a go. Maybe it wasn’t as adventurous as frying up some rocky mountain oysters or simmering a tripe stew. (Have you ever heard of this Mexican soup that this an alleged hangover cure? I’ve seen it made on Top Chef a few times and I’m just not sure I’m buying it.) Someday soon I’ll take a stab at some real offal, but since Chris and I are pinching pennies (or pence rather) I’d like to be sure I’m going to enjoy what I’m eating. 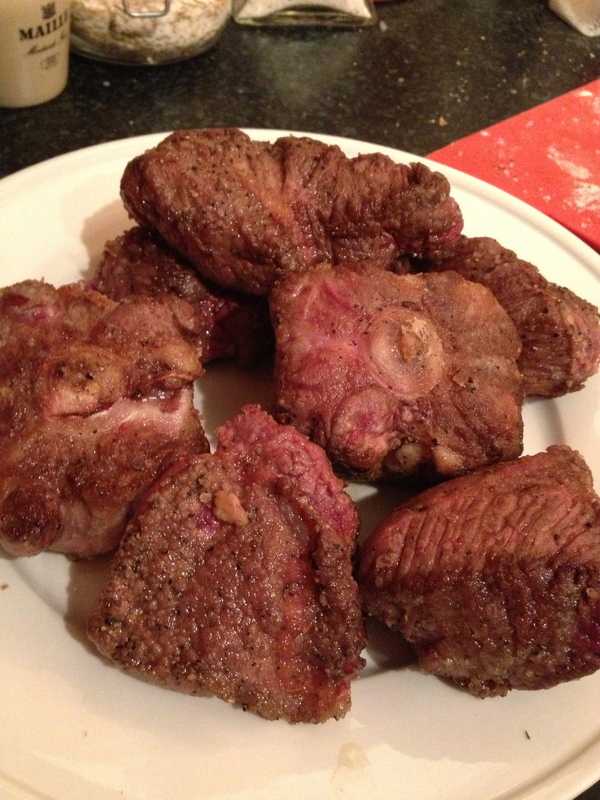 My verdict – the sauce was maybe a bit more effort than it was worth, particularly because the oxtail meat was difficult to get off the bone and it seemed to add a bunch of extra fat to the dish. I found that straining the fat off the top with a spoon wasn’t even enough and I ended up using my gravy strainer to be sure that I wasn’t consuming my weight in grease. In then end, though, it came together into bites filled with intensely deep, meaty-flavored sauce atop buttery fresh pasta. Not a horrible way to spend a Sunday. Or to write about for a “Tasty” Tuesday. 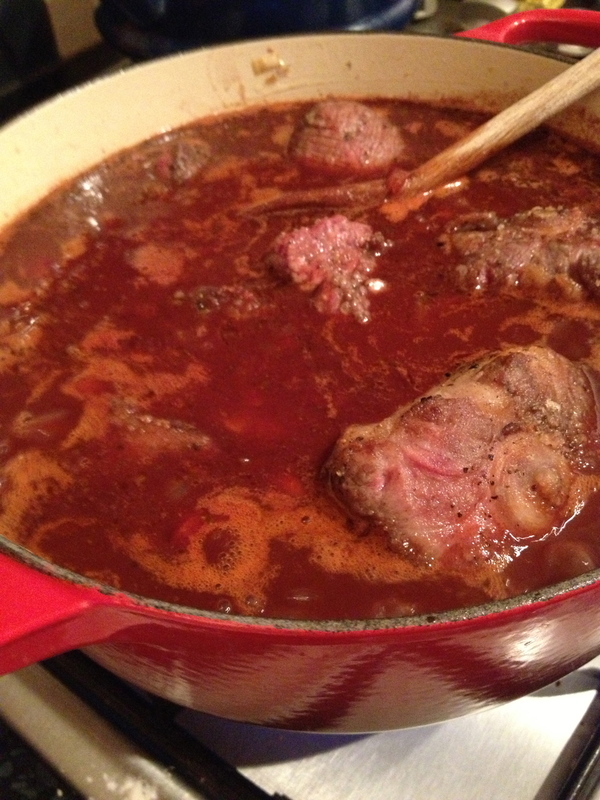 As with any braise or ragu, start by browning the meat to lock in the flavors. As the ragu slowly cooks, not only will the meat become tender and flavorful, the sauce will become incredibly rich and additionally succulent thanks to the bones (and marrow) of the ox tail. 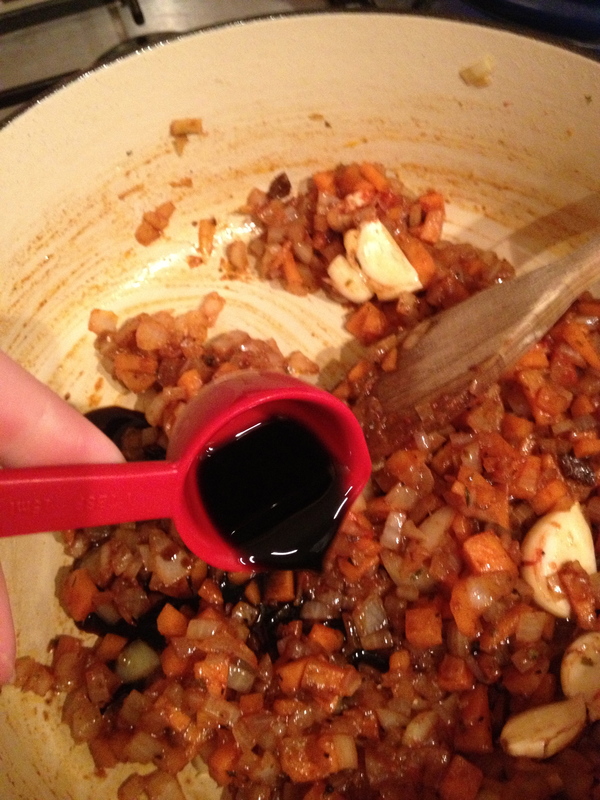 After sautéing a base of onions and carrots, I add balsamic vinegar before red wine, to add an even deeper flavor to the sauce. But don’t worry, we are still going to add wine… lots of yummy, dry red wine. 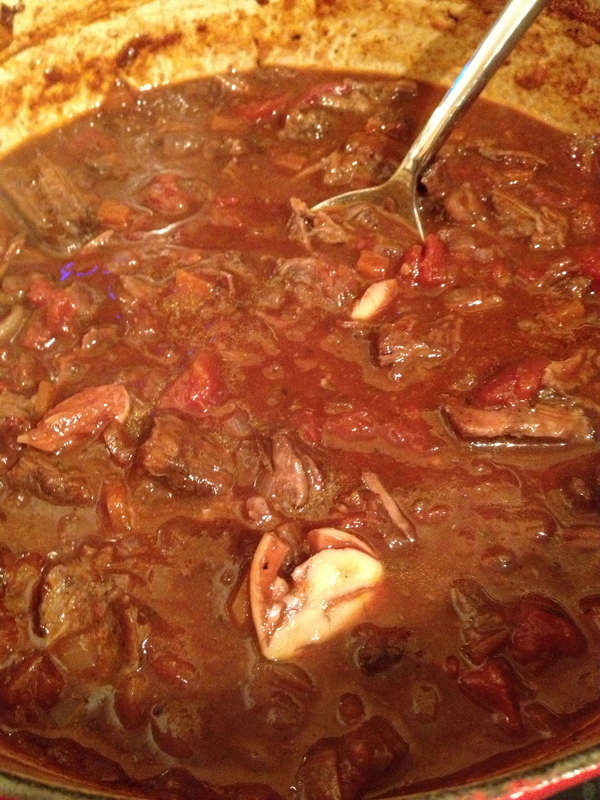 Then simmer it down for about 5 minutes before adding tomatoes and then the meat back to the pot. 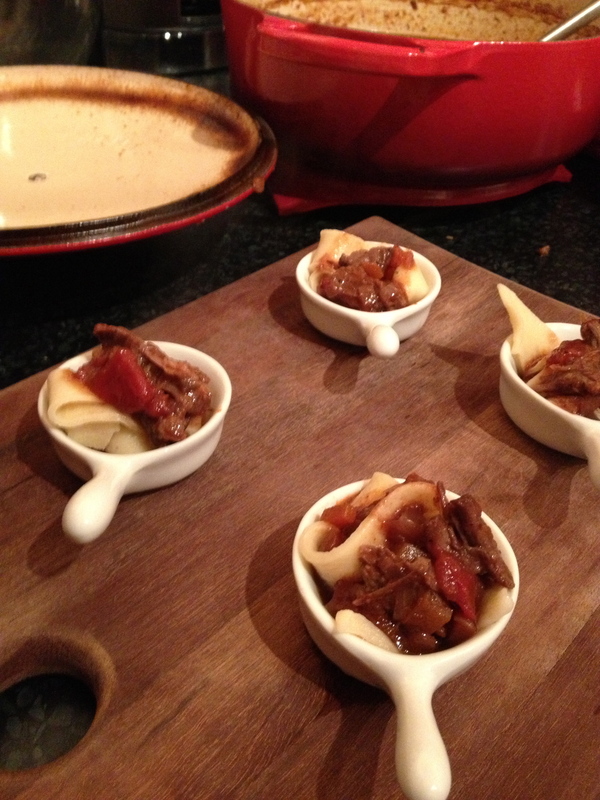 After you put the ox cheeks & tails back in the pot, cover and cook for a very long time in a low heat oven. Since these are tough cuts of meat, you can’t rush this one! Just wait and wait and wait and then… Voila! 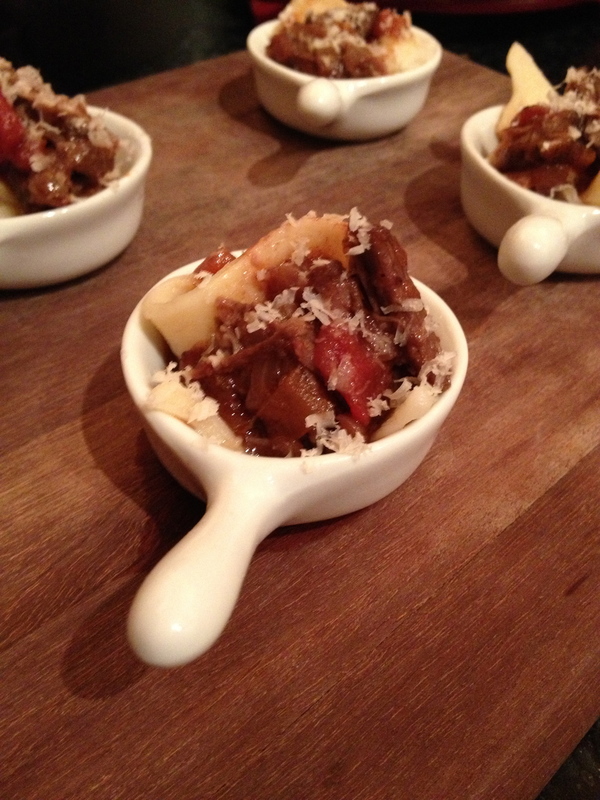 Yummy meaty nose to tail ragu! Okay, you still will need to remove the meat, let it cook a bit and then shred it. 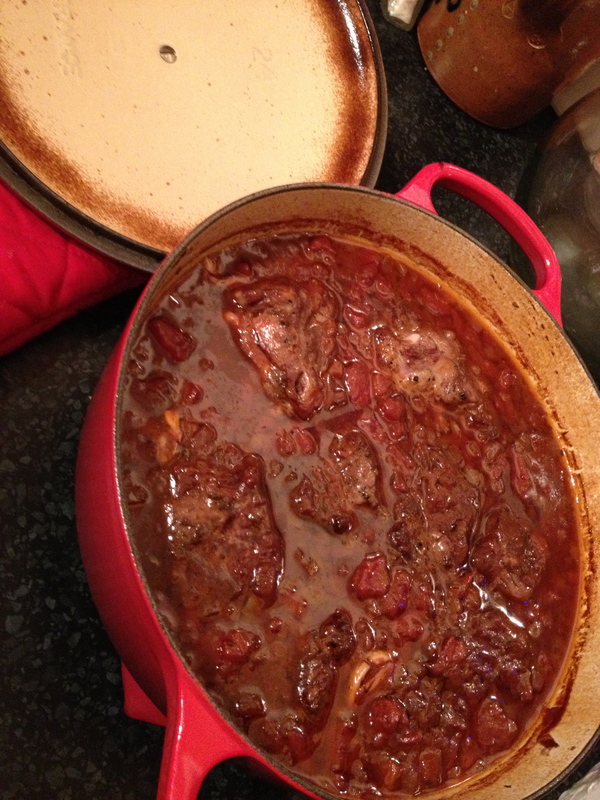 You will probably also want to skim any excess fat off the top of the sauce. But once that’s all done… Presto change-o! We took some cheeks and a tail and made an indulgent sauce. While the sauce cooks, you have plenty of time to make your own pasta! Start by making a pile of flour on a clean work surface. Then create a well in the center of the flour to crack some eggs into. Using a fork, swirl the eggs into the flour, pulling a bit more from the sides until the mixture starts to form a dough. Use your extra hand to maintain the circle of flour as you go. But no, you’re not done yet. 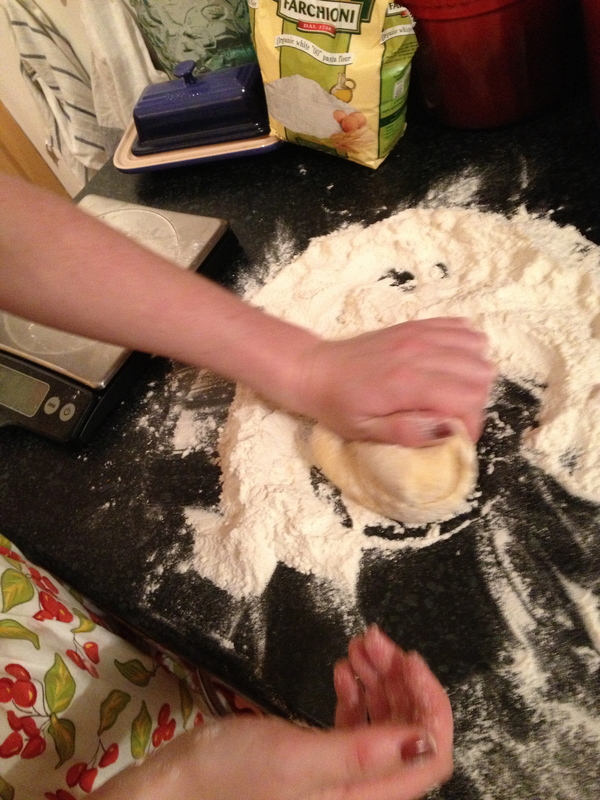 You need to continue to knead the dough for about 10 minutes to be sure that the consistency is perfect for pasta. Then wrap the dough in cling wrap and refrigerate for at least 30 minutes. 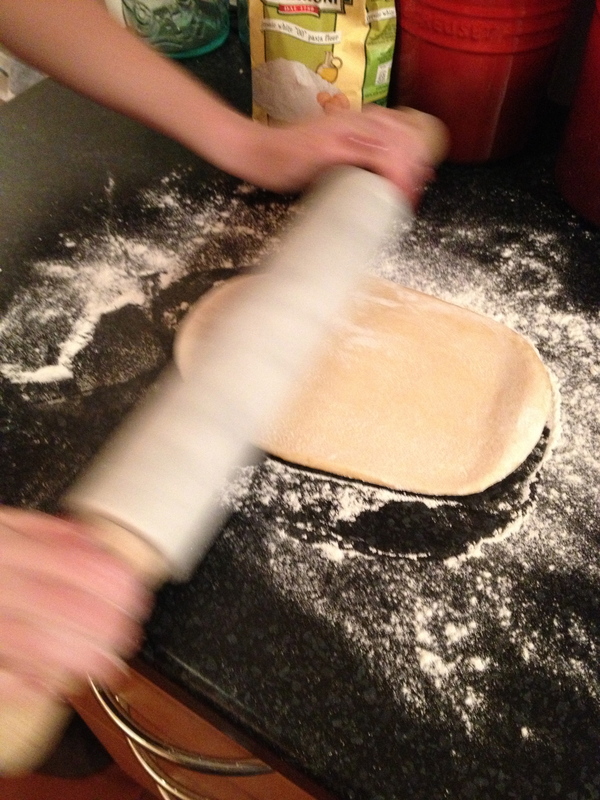 Still rolling… Once the dough is thin enough, cut it into 3/4″ strips. They will only need to cook for about 3 minutes in salted boiling water. It might have taken a few hours, but now I have the perfect taste! Homemade pasta with a sauce like nothing I’d ever thought to cook before! Crack salt and pepper onto the ox meat and lightly dust with flour. 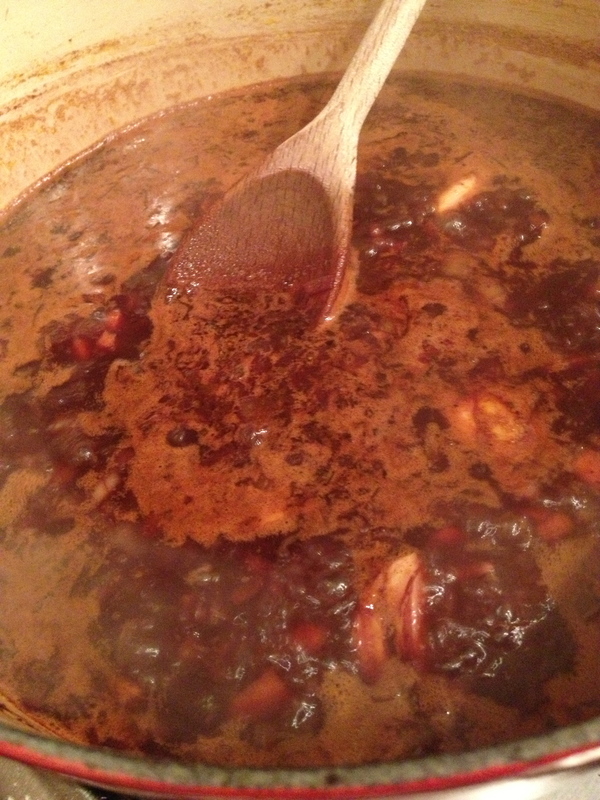 Add to the pot in two batches, browning on all sides, about 3 minutes per side. Remove and reserve. Reduce heat to medium and add the onions and carrots to the pan. Sauté for 5 minutes until soft. Add the garlic, tomato paste, beef soup starter, mushroom thyme salt, and oregano and continue to cook for 2 more minutes. Add the balsamic vinegar and cook for 2 minutes. Continue to deglaze with the wine. Cook at a simmer for 5 minutes. Then add the tomatoes. Pour the 1/4 cup of water into the tomato can to be sure to pick up any remaining juices and add to the pot. Simmer for 5 more minutes. Add the ox pieces back into the pan. Cover and place in the oven for 3 hours. Once the meat is cool enough to touch, shred and return to the pot. Simmer for 5-15 minutes then serve over fresh pasta. On a large clean work surface, create a pile of flour and make a large well in the center, with high edges. Add the eggs and yolk into the well. 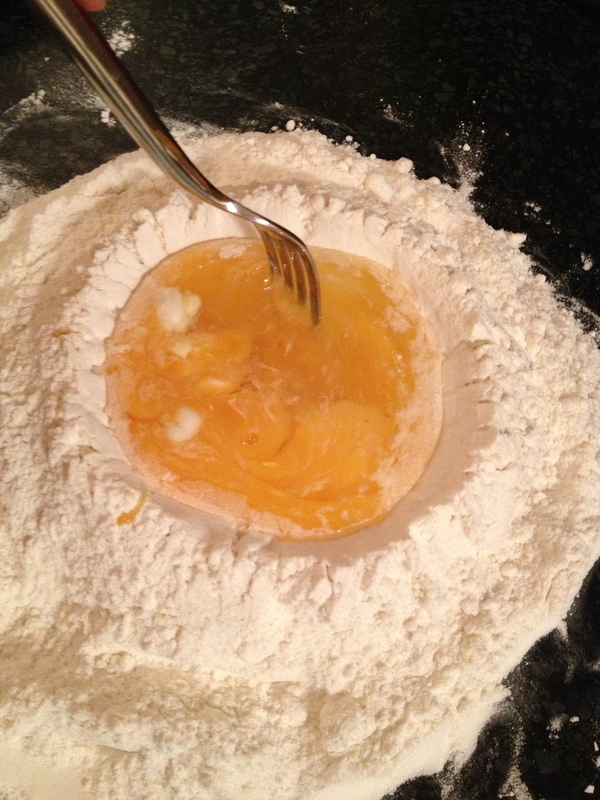 Using a for, mix the eggs slowly with flour, pulling from the sides of the well as the flour incorporates. Once the mixture begins to come together, knead with floured hands, adding more flour until the dough is no longer sticky. Continue to knead for 10 minutes. Wrap dough in cling wrap and refrigerate for at least 30 minutes. 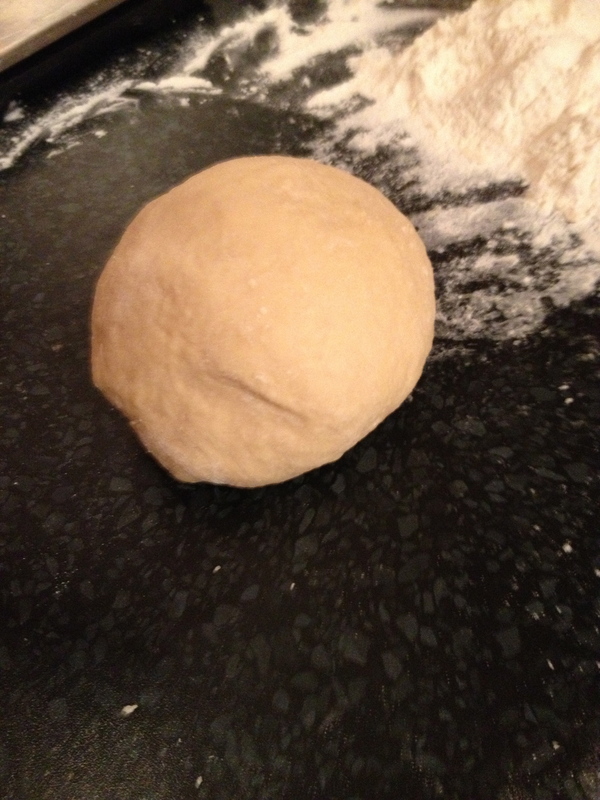 On a floured board, roll the dough out, starting at the middle for the ball, pressing out. 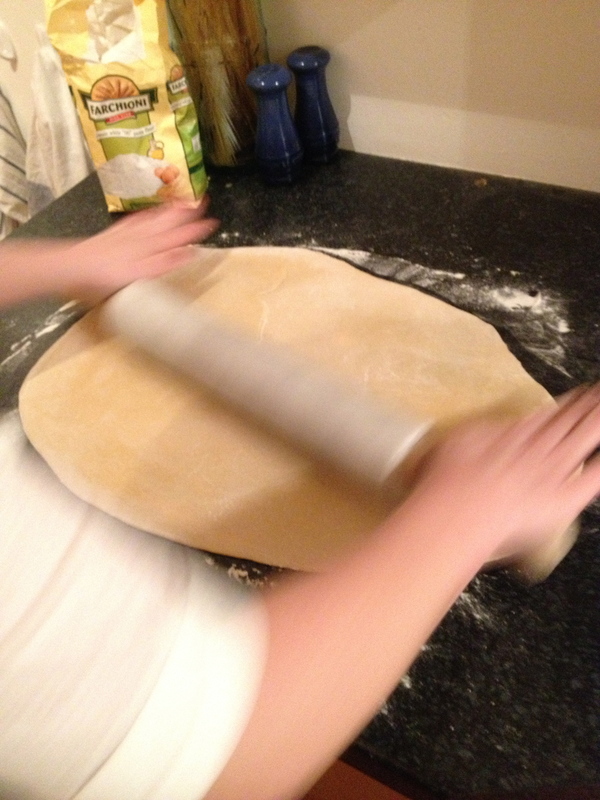 Roll until the dough is evenly thin. You should be able to see your fingers through the sheet of pasta. Cut into 3/4″ strips. Bring a large pot of salted water to a boil. Add the pasta and cook for 3 minutes.